Yes it's that time of the year, where we all get dressed up in some zany costume of a character that's super popular in pop culture, or super obscure that requires a little bit of explanation over a trip to the bar (I prefer the latter). This year however, I'm kind of on the fence about going out, since the deadlines seem to be piling up nicely (a tad crazy). 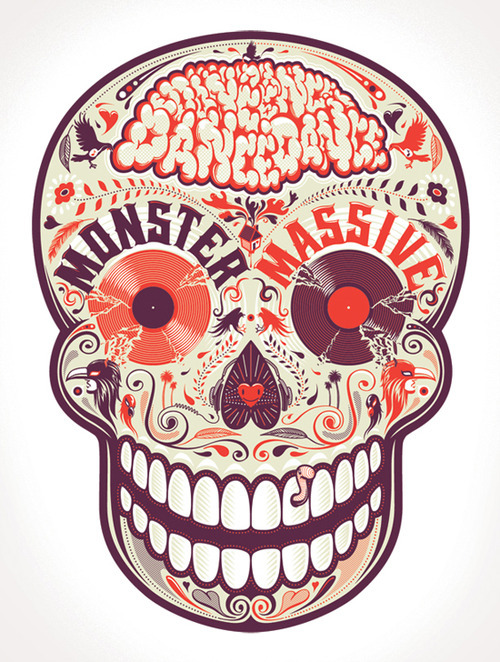 Anyhow, a few weeks back I finished a new design for (what was to be) Monster Massive's upcoming Halloween party. Just found out that it has been cancelled. More info here.